(NaturalNews) New research out of Stanford University creates possibilities for the future of California to be powered by renewable energy. This would create a healthier environment, generate more jobs and stabilize energy prices. Imagine Los Angeles free of smog, electric cars flooding the silent freeways, solar panels covering rooftops and power plants powered by wind, sunshine and the heat below the earth's surface. 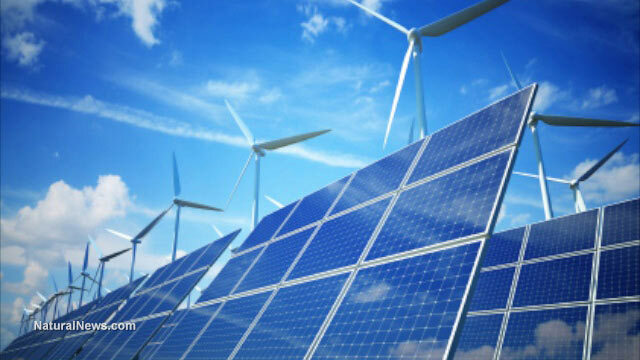 A new study reports that it is technically and economically possible to convert California's energy infrastructure to be powered by clean and renewable energy. "If implemented, this plan will eliminate air pollution mortality and global warming emissions from California, stabilize prices and create jobs -- there is little downside," said Mark Z. Jacobson, the study's lead author. Jacobson's study creates a plan that would allow this transition to take place by the year 2050. The study calculates the new devices and jobs that would be created and outlines land and ocean requirements to make necessary changes. The study concludes that wind, water and sunlight conversion may result in initial cost increases but they would be made up for over time by eliminating fuel costs. It would create a net gain of about 220,000 jobs, and the state would gain about $12 billion annually. The study estimates that, with this switch, the amount of deaths due to air pollution would decline by approximately 12,500 annually. The state would save about $103 billion. "I think the most interesting finding is that the plan will reduce social costs related to air pollution and climate change by about $150 billion per year in 2050, and that these savings will pay for all new energy generation in only seven years," said study co-author Mark Delucchi of the University of California, Davis. "The technologies needed for a quick transition to an across-the-board, renewables-based statewide energy system are available today," said Anthony Ingraffea, a Cornell University engineering professor and study co-author. "Like New York, California has a clear choice to make: Double down on 20th-century fossil fuels or accelerate toward a clean, green energy future." In order to ensure reliability, the plan describes several methods to balance the variability of wind, water and sunlight resources. The ground needed for the infrastructure would be about 0.9 percent of California's land.